Hi, welcome to Incony`s Raphoe family history. 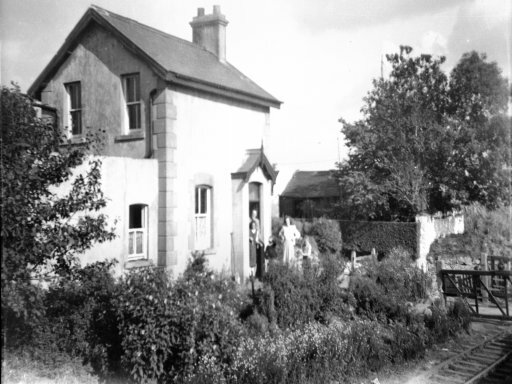 Here on the StartPage you will find history connected with the Chambers family of Raphoe. The following images are from my Grandfather Jim Chambers collection. He was a keen photographer, and developed his own photographs. 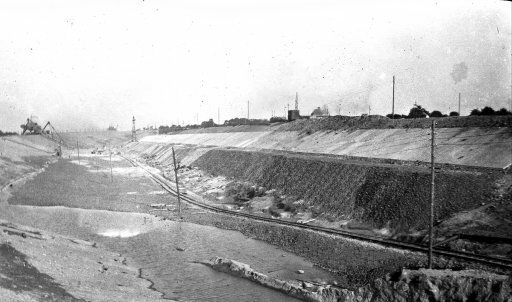 Another view of the excavation engine. 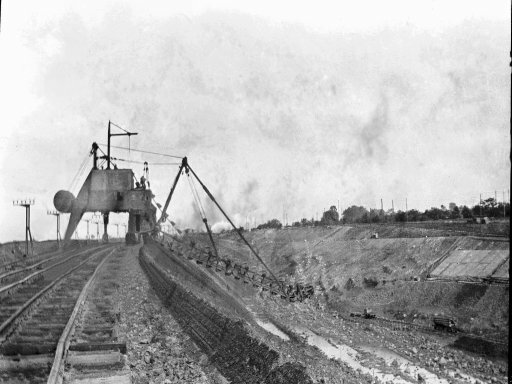 Postcard view of the bridge construction at Lifford .. an indication of the importance of the railway. 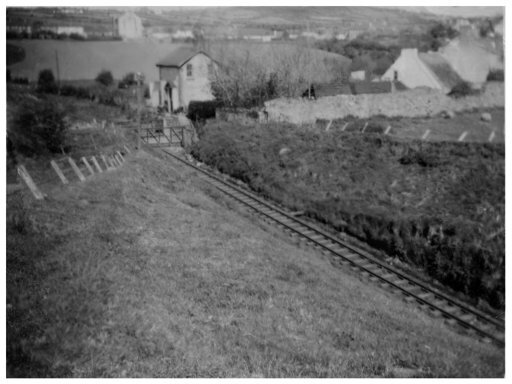 Raphoe Gate House, looking from the cutting on the Strabane side, toward Raphoe station. 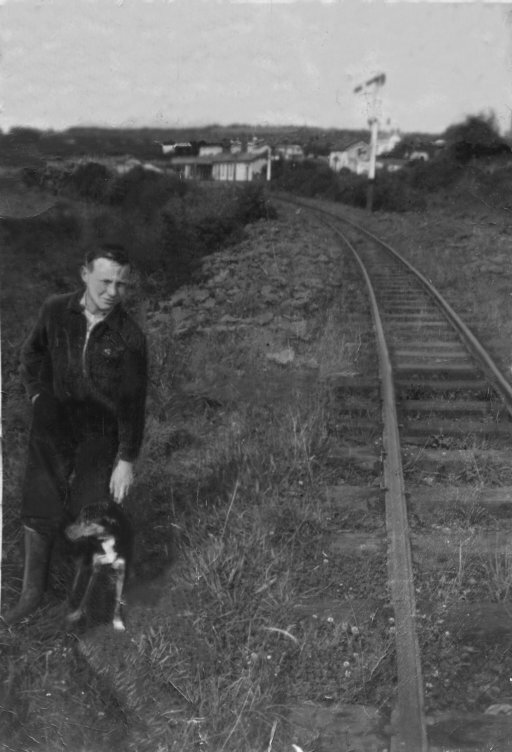 My uncle Joe beside the line at the gatehouse looking toward Raphoe Station. 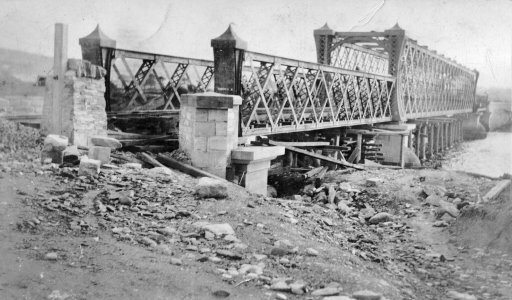 The gate house shortly after closure. 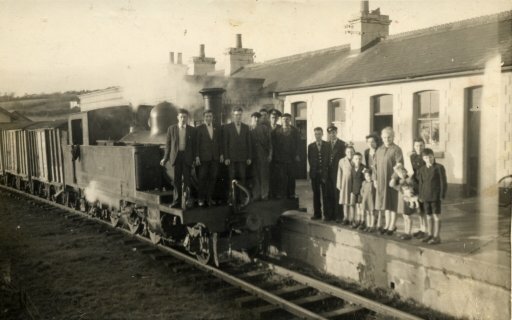 Last train at Raphoe from Letterkenny.. 31/12/1959. Reading from left standing on the train. Tony Mc Intyre, Plunkett Mc Intyre, Danny Mc Intyre, Willie Mc Feely (Fireman) unknown Mc Intyre! 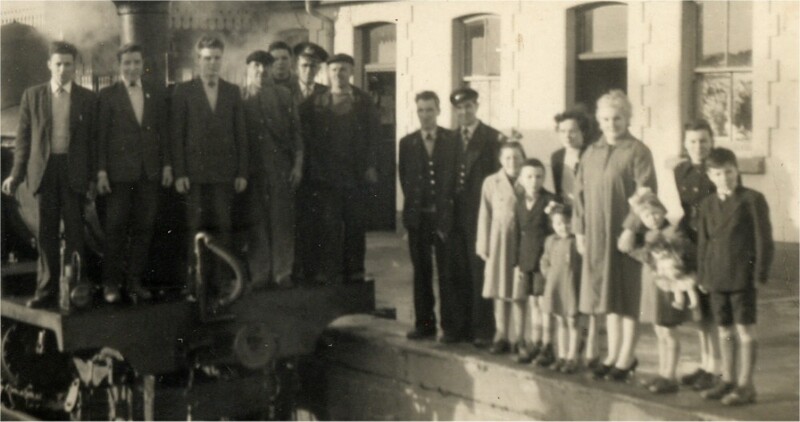 William J Mc Intyre (Station master) Paddy Gallagher (Engine Driver). Reading from left on the Station Platform Donald Gallagher (Guard on the train). Tommy Bell. (Porter). 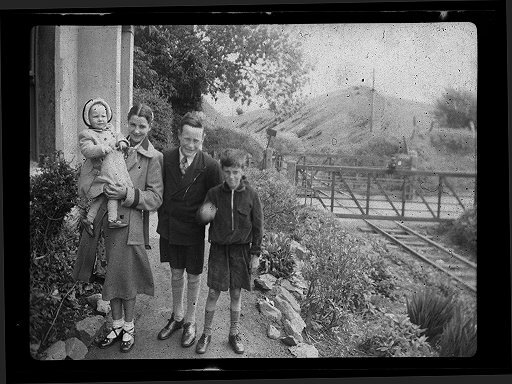 The young girl with the bow in her hair is Margaret Mc Intyre, the young boy beside her is her brother Tommy and the wee girl is Anne,the youngest in the family. The woman behind Anne is her eldest sister Lilly. 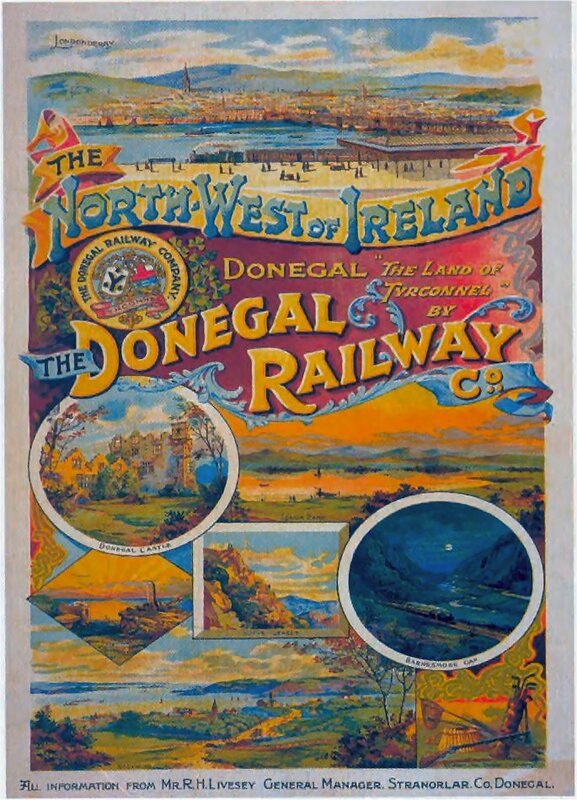 The elderly dignified lady is the stationmaster�s wife Mrs Annie Mc Intyre, (Born in 1912 she is still alive and well at the time of writing this10/01/07). The girl with the doll is Marion Mc Intyre and behind her is her sister Bernadette and beside her, is her brother Benny. 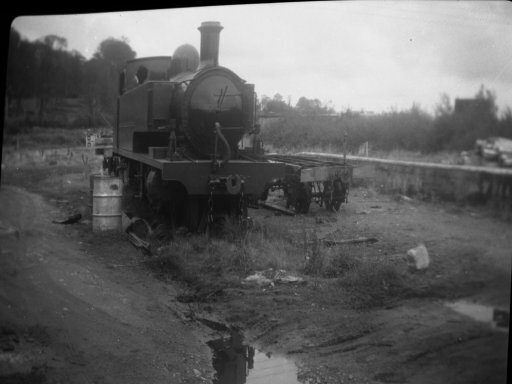 Engine stranded at Letterkenny - the engine is No 11 Erne. 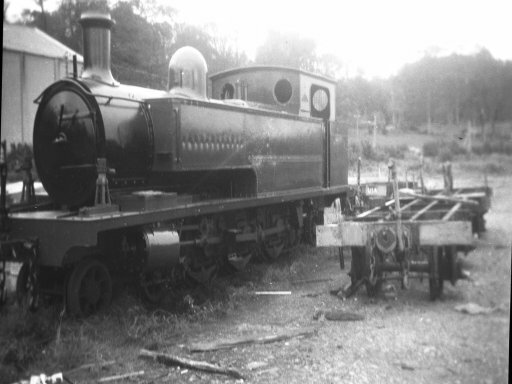 The engine looks newly painted. 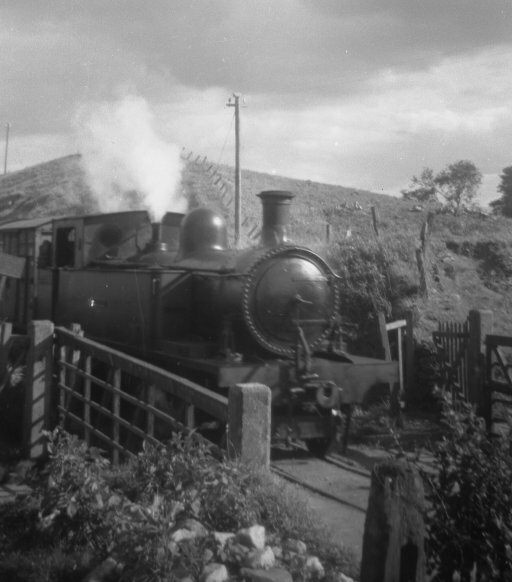 She was actually given a coat of Swilly Green paint by the Lough Swilly company somewhere around 1964/5 and although purchased by Dr Cox, was cut up by Hammond Lane in 1967. 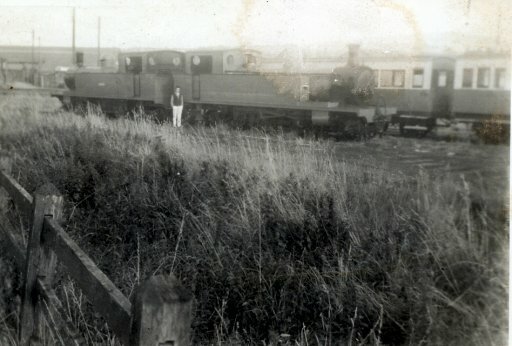 Engines stranded at Strabane - No 5 Drumboe to Right; No 4 Meenglas to Left. Incony thanks John Ewing and Joe Begley for identifying photography. I do not know who the children are, but the date is well before 1960. �Family Tree 360 degree view .... a recent addition. I started school in Grantchester, at the primary. A fine school run by skilled and dedicated teachers. 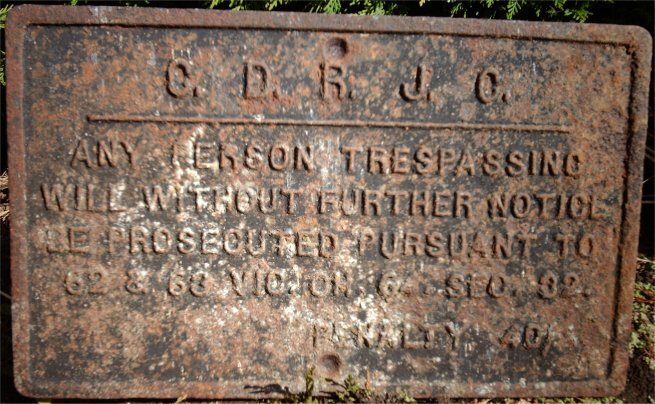 It was an excellent environment, we had a swimming pool and access to the fields behind the school, The main hall behind us in the photo, had a coal fired chimney stove, and we had milk delivered everyday. There was a full sized piano in there too. The Green Man and the Red Lion Hotel taken about the same time as the primary school photo. The dog is called "Danby" and belonged to the Publican.. Mr Stapleton.. Christopher his son was in the primary with me. The road is actually better made up here than it was when i first came to Grantchester ...the brick edging is new.. I remember there was no edging and the road was without a proper surface here. �Grantchester Meadow 360 degree view .... added 18/05/2008.